In 2018 we will be heading to Sedona! We never know where the yearly retreat will be pulled to next! Well Sedona here we come! There is always a buzz about going to Sedona, however I had no strong pull to host a retreat in Sedona until now. The last 4 retreats have been in areas known to be powerful, Ojai, Mount Shasta, Joshua Tree and the Sequoias. Human consciousness is affected by the patterns of information within the earth’s magnetic fields. Ley lines or lines of force form a grid system around the planets. We will explore more deeply the manner in which we are networked into this matrix grid system and look more closely at the language of these frequency patterns. The more that we are able to understand the less we will find ourselves buried in mysticism and stories that perpetuate the hypnosis. Nothing is typical about this or previous retreats! We are not calling on the ancestors or spirit guides or ascended masters. Let’s explore the landscape of our minds and allow ourselves to remember the mapping of this particular earth system. Music, dancing and lots of food! Food and accommodations included. Just bring yourself! The location is private surrounded by nature. This is not a hotel or dorm rooms. Retreats are held in luxurious locations on property surrounded by nature. ADDITIONAL DETAILS AND IMAGES COMING SOON! Space is always limited so secure your space now! PAYING IN FULL - This discounted rate applies to first time attendees or those who have not attended a retreat in the past two years. Those paying in paying in full. 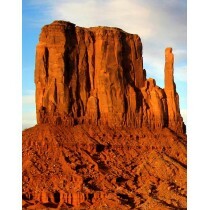 Please be sure to visit the ABOUT RETREATS and the SEDONA RETREAT page. DEPOSIT- A deposit is required for monthly installment payments. You will be invoiced monthly. Please be sure to visit the RETREAT PAGE for details and to confirm the total amount of payments.